My warlock wanted to go to the Isle of Quel’Danas once she hit 70 just to take a look, didn’t stay long though. While still lovely the emptiness was disturbing, I kept remembering what it was like when we were opening it up. 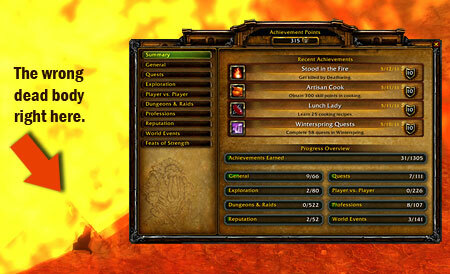 While leveling up she didn’t encounter anyone of her level until Hellfire Peninsula. Hellfire was a surprise it was mid-afternoon and there were four horde in the zone. I don’t know why but some zones seem lonely when you’re the only one in it and some don’t. I don’t like Shadowmoon Valley but I didn’t feel like I was in a ghost town there where I did feel that way in other zones. Anyway by the time she reached Area 52 I thought of a solution. 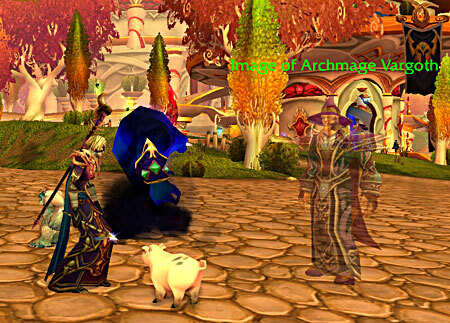 Archmage Vargoth! That’s it! He doesn’t stay long on his visits but he makes a pleasant break from the Voidwalker who just constantly complains about not liking this place. Mr. Wiggles is nice company and all but he is just a pig and I’m down to my last Mechanical Yeti. I have to admit I feel just a tiny bit guilty. 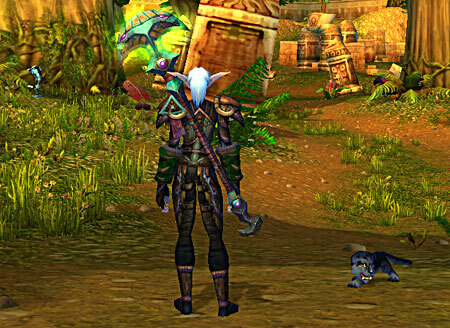 It’s clear that he’d like me to do something for him, he seems a little disoriented every time I call him with the staff and we’re in Borean Tundra or someplace rather than Netherstorm but he’s good company so I’m keeping his staff until I reach civilization. Yes, that’s me, you caught me playing Rift, guilty. At least I was. I do this every once in a while. I think of it the same way I do of a rl vacation. A nice change of scenery for a little while. 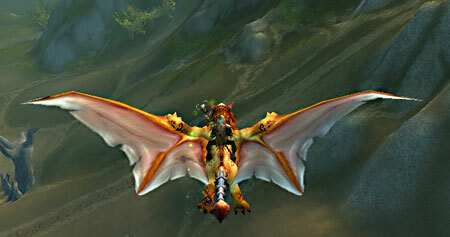 I think of Azeroth as my home and other games as maybe a short cruise. I have never un-subscribed from WoW and if it ever ends I will be devastated. I mean really, how do they do that? Okay first I admit as someone who grew up devouring Asimov, Herbert, Heinlein, Tolkien among others I was probably a safe bet for someone who’d want to actually live, fight, and die in a virtual fantasy world but in WoW’s case there’s more to it. 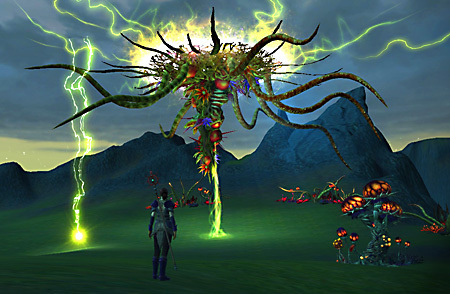 I have vacationed in Eve, Aion, Fallen Earth and Rift, I think there were more but that’s all that come to mind. I liked Eve but I think I missed having an actual body and getting out of that ship and walking around. I think I played for around 4 months and when that computer went up in flames I just didn’t feel motivated to download it again. Aion I think I played about 3 months, very pretty but the gold spammers were out of control and I must have accidently got on the racist, homophobic, misogynist server because I didn’t mind chat scrolling by so fast because of the gold sellers because when I could actually read it, it was horrific. Fallen Earth had the nicest population of any game I’ve played but after a while I just didn’t feel like logging in. Rift started out great, I loved the public groups, it’s spontaneous, you don’t have to waste time waiting to get a group together, no add ons so no one yelling at others because of their dps, they were a lot of fun. Today is patch day, perfect time to play Rift, right. Nope, I’m contemplating either going to buy paint or attacking the grout in the bathroom with a toothbrush. Really, I’m not kidding. What went wrong, I’m not sure, I do know leveling was way too fast but that shouldn’t have done it although I do know what the last straw was, for me at least, I doubt it would bother most people. The RNG is a fact of life in most games but in Rift it became so annoying I couldn’t take it anymore. I like to craft my own stuff, it makes me feel self-reliant. So I leveled up my profession and started doing the daily crafting quest. Then I found that the plaques you need to buy epic patterns are a random drop in the reward for doing the daily crafting quest. Do you think I got one, oh hell no, I did that stupid quest every day, sometimes twice if the server was reset. So basically I would login, go gather the mats, turn it in, get no plaque again and get really annoyed. It then occurred to me I was paying to do something that was annoying, I was poking myself in the eye with a sharp stick every day, what is wrong with me, STOP IT, so I did. Which brings me back to how Blizzard keeps me here. I’ve been here since vanilla, and I think I’ve mentioned that Cataclysm has been my least favorite expansion but I’m still here. My Undead warlock was leveling through Southern Barrens and yay, there’s Mankrik who gave me the quest Don’t Stop Bereavin’. This is why I’m still here. A reference to Journey’s Don’t Stop Believin’, you got to love that, or if you’re not old enough to get that then they still have you covered (pun really not intended) you may know the Glee Cast cover. I really wonder if they hire comedy writers to come up with this stuff, it’s not just the references, it’s the quest writing too, now that I actually take the time to read it all. I even stop to talk to random Npcs that aren’t quest givers if they look like they might have something to say. Other games have made an attempt at humor but I always was left with the feeling that it was part of a formula, it usually fell flat but in WoW I have ACTUALLY LOLED IRL not just typed it. This is why Azeroth is where I always return, sure I take vacations but there’s no place like home. Now I’m going to see if I can download Journey’s Greatest Hits from iTunes, crank it up and take my toothbrush to the bathroom and clean grout until the servers are up. My Undead warlock is 32 now and there she is flying into Desolace, oddly everyplace else she’s been has seemed weirdly empty, no one around but in Desolace it seems normal as nobody was ever around there the many times I passed through. I’m sure it may vary from server to server but leveling her without any financial backup has been a revelation to me. I leveled many alts before but they had help. 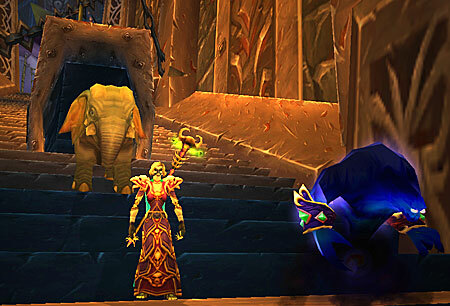 I wonder if there are many new people starting WoW, if so I hope they find helpful guilds to help them along. Blizzard had done many things to ease the pain, and I’m pretty sure they must have increased quest rewards in the lower areas because I don’t remember getting over one gold as a quest reward in a level as low as Stonetalon Mountain in the past. My problem has been the prices in the AH. I have to use quest reward gear as I can’t afford anything at all. I was excited when I got to level 30, glyphs! I could buy my glyphs! Yay! Nope, I’m sure it varies on different servers but to get the Fear glyph it would cost 120 gold. Immolate was listed at 130 gold. I don’t know if that was just an aberration so I’ll keep checking the AH in the hope that it was, but geeezzzz … life is tough if you’re not an alt. I’m lagging behind on my tailoring too, I out-leveled the areas where the cloth drops were so thought I’d just buy some, nope, a stack of wool 62 gold and that’s been steady, so it was back to a lower level to pick on the lowbie NPCs for the wool. I’ll have to worry about First Aid when/if I get to level cap cause I so am not wasting my cloth on it now.